"Can you say fresh? Can you say high-quality?" Stop in for a home made breakfast with a wide selection of omelets, pancakes, skillets and more! 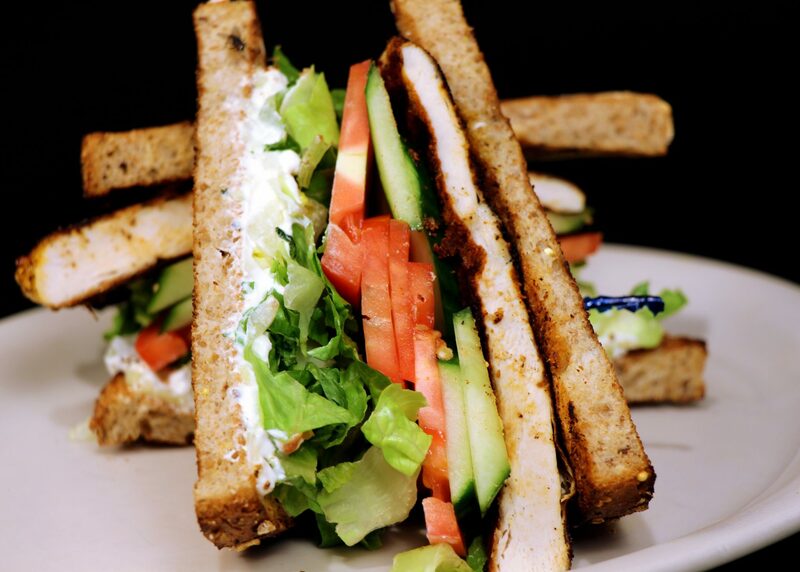 Our massive lunch menu has all the classics, as well as something special from the chef. Not to mention breakfast items all day long. 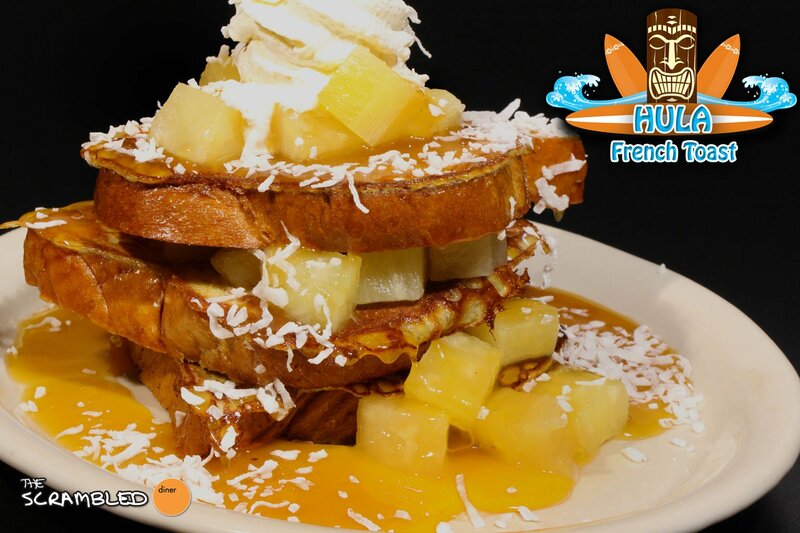 What’s Hot Right Now – Hula French Toast! We’re bringing pineapple back to breakfast! – with coconut and a caramel drizzle. 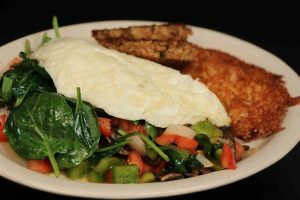 Visit us for lunch, or early breakfast and get a fresh, home-cooked meal from some of the kindest servers and cooks around. Our dishes are made from scratch and we always use fresh ingredients. 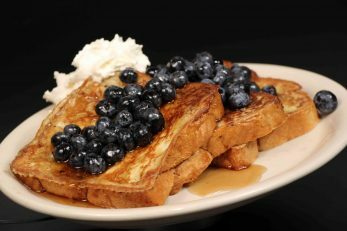 Choose from a variety of diner classics like omelets and skillets or try some new special dishes from our own chef! Come grab a bite! We’re open everyday from 6 am to 2:30 pm, and located on the corner of Steger Rd & Sheffield Ave in Dyer, IN. The Scrambled Diner is committed to offering food made at the restaurant. We also pride ourselves in offering the freshest of ingredients. 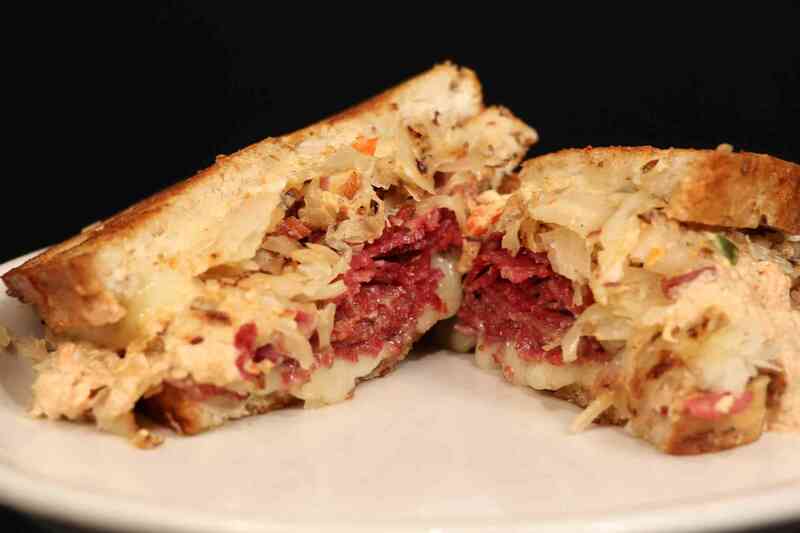 Our Corned Beef starts with aged beef brisket that is brined “in house” for two days before it is cooked and turned into our Corned Beef Hash and Reuben sandwich. We offer three Jams made on site, Strawberry, Raspberry, and Apple Butter. Our hash browns start as Idaho potatoes and are gloriously transformed into crispy hash browns and french fries which are hand cut every day. The, soon-to-be famous, Dyer Beef is an interpretation on the classic Philly Cheesesteak, which starts off as thinly shaved Ribeye and topped with a homemade cheese sauce. 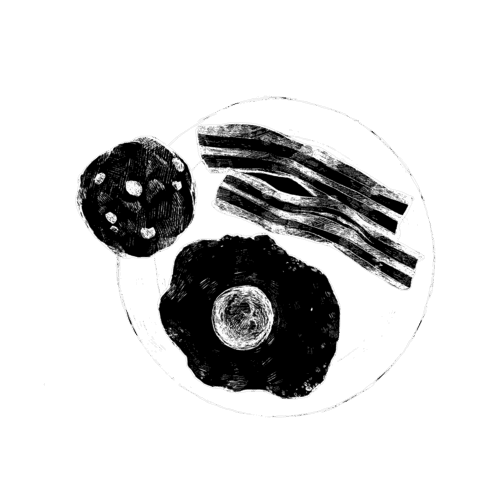 We make make three different types of sausage daily – Our Breakfast Sausage (which is a Pork Sausage), Turkey Sausage (made from fresh Turkey Breast), and Chorizo (an interpretation of the classic Mexican sausage). 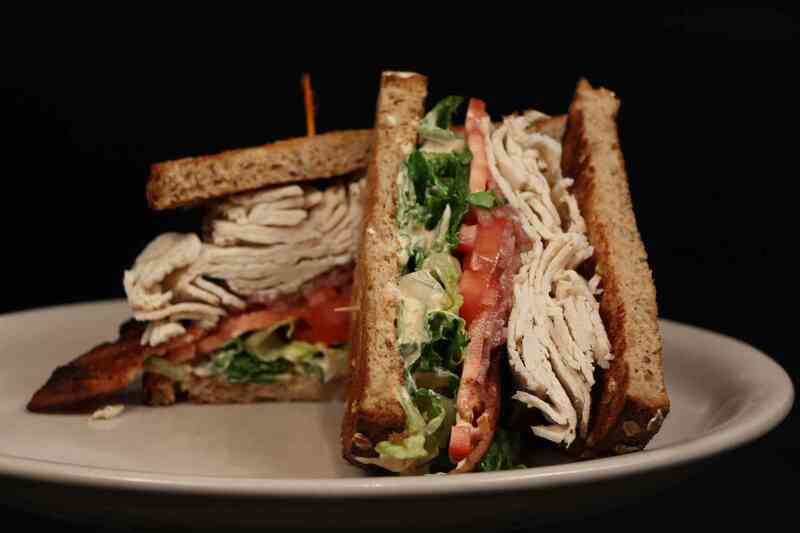 Our Turkey Sandwich starts as a turkey breast and is brined for two days and slowly roasted. It goes on to be shaved thinly and served on artisanal Whole Wheat bread with homemade pickled onions and Chipotle Mayonnaise. Wow. Great brunch while doing a large job down the street! Pleasantly surprised, would highly recommend. Great food and service! LARGE food portions. I'd definitely go back. The food is absolutely fantastic! 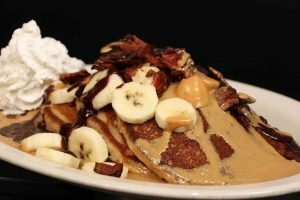 !The Banana Foster pancakes is insanely delicious! Breakfast at its best!!!! We got there later than we anticipated which was moments before they closed. They served us meals that tasted like the place just opened. Our waitress gave us great service and didn’t rush us. I love this place! VERY Good ! We both had 2 eggs, hash browns,sausage, toast and they kept refilling the (great) coffeeWill definitelly be back! That Boston skillet is second to none! OMG! Nothing better! Corn beef hash was awesome! An absolutely AMAZING breakfast and lunch spot. I haven’t had anything here that wasn’t good!! You’re going to pay a dollar or two more for your meal, but it’s well worth the money for homemade EVERYTHING!! The food is great and the owners and staff are really nice. A one-hour wait for breakfast when you order pick-up? No thank you. ⭐️⭐️⭐️⭐️⭐️Delicious food and accommodating servers. My daughter and I just love this place, great food, friendly servers.we will definitely keep returning! This was our first time there, it was very hard in choosing which breakfast to order, me and my son had the seafood skillet it was amazing. My grandson had pan sausage it was huge. We will definitely be back. What a great find...everything made from scratch...yummy breakfast! Good coffee for starters. Fresh and plentiful. Great staff. Will be going back. The absolute Best!!!!!! Jack and Shari highly recommend our favorite spot! The Best server's in Town!! Nice place. Prompt service, good coffee and the best biscuits and gravy I’ve had. Great service and the food was excellent! Will definitely go again. They have a delicious chorizo skillet you have to try. I had the Cajun skillet and it was delicious. It a great atmosphere , nice and clean and staff is very friendly. If you haven’t been yet you most definitely need to go , you won’t be sorry !!!! I almost die of happiness every time I come here.  Trust the chef and don’t modify your order. He makes it perfect every time. We always take a cinnamon roll or two with us bc they are RIDICULOUS good and cause the BEST NAPS/Comatose state to take place! The food was delicious, and the service was amazing!!! I had the Cajun skillet it was good. Other guests had the Florentine and bananas foster French toast which they said were delicious. Service was good. It would have been nice to have breakfast with the entire family at the same time. They brought out ONE meal and then everyone else at the table did not get served until she had finished her meal...The service... terrible. The cinnamon rolls... doughy and not worth the amount... It’s too small. Not organized. Best breakfast I’ve ever had, hands down! I will be back! A gentleman at Frankie's auto recommend this place today. And you did not disappoint. I had such a hard time deciding The whole menu sounded good. The food was awesome everything was fresh, hot, and you can tell those cooks know what they are doing. Excellent food and service. Portion size never disappoints! My husband and I like to try new restaurants for breakfast and this place, has by far, topped any place we have been. Staff is super friendly, atmosphere is cozy, food is fresh and homemade, portions are just the right amount and their wheat toast is great!!! (I love great bread) Anyway, we will for sure be going back and will be trying different items! Went here for brunch and the food and service was excellent! Generous portions and the omelets had plenty fillings. Bacon was cooked perfectly and the strawberry butter was delicious! Scrambled is definitely my favorite breakfast in the area! Thanks again for NEVER disappointing me, food is always fantastic! Had to fast for tests at hospital this morning & after got a southwest omelette to go on the train with me, still hot & oh so delicious!! It was an off day for them which was HIGHLY disappointing for us! Wait was 35 minutes for a table (for 3) only to sit down to be told they had no mugs for coffee / hot tea and waited 10 minutes again! Ham in omelette was not grilled and was added ice cold to the omelet - very small portion of hash browns - which were also cold. Received toast / biscuit after asking the third time - and received when we were done. Extra topping for pancakes never received. Everything is fantastic on the menu.They are priced right also. If you haven’t tried the Boston skillet....what are you waiting for? 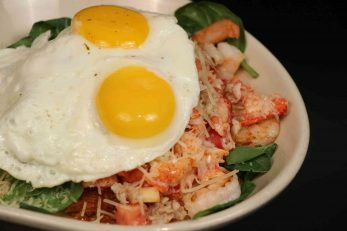 Fresh crab, lobster, and shrimp with spinach, cheese, tomatoes and eggs On top of hot fresh hash browns. Best sausage patties, best toast and jam, best cinnamon rolls! My favorite place for breakfast, always great friendly service! Awesome service and the pumpkin pancakes were SOOO good. We will visit again when we travel back in this area. Best breakfast and lunch,their bacon is to die for. Never had a bad breakfast there and great waitress service. Also have a seat because the food is great. Our group's favorite place for the overlapping meals that are brunch. The shrimp diavolo skillet is my hands down fave, but try it at half spice your first time - you've been warned!Their jams, apple butter, ketchup and hot sauce are home made and fantastic. When you order a side of fruit, the bowl is huge and the fruit is really fresh (not the sad tiny dish other places give you.) They also have seasonal pancakes - pumpkin coming soon i think, but the red velvet around Valentine's day was to die for. We shared 4 ways and were satisfied. They have a fantastic burger and amazing fries, too. I think you literally can't go wrong with any order. Oh, and the wait staff are awesome, too! Quick, friendly, and just the right amount of sassy/funny!If I could give Scrambled 10 stars, I would! I had The Boston skillet. Shrimp.. Crabmeat.. Lobster and spinach and tomato it was fantastic. Innovative and delicious breakfast and lunch items! By far our favorite in the region. It my first time there. I had the Boston skillet. It was very good. I'll be back soon. Always great! Best breakfast in The Region. Go give it a try! The best breakfast in Northwest Indiana, and a top contender for best in Chicagoland in my opinion. Food is always great, and fresh. It's a little pricey, but the portions and quality more than make up for it. Don't go on Sunday mornings though unless you're willing to wait. Not sure why so many people haven't figured out that a place down the street from a church will be super busy on Sunday's. Tiny little breakfast spot with delicious food and the best service. We were traveling from Florida and had spent the night at my sisters when we stopped here. It was definitely what we needed after eating fast food on the road the past 2 days. Scrambled dinner is always a great choice. Great food, great people, everything is made there within the family owned reasturant. The atmosphere and food was wonderful. The service was outstanding and I will be back! 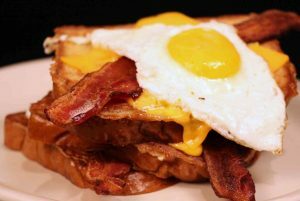 The Boston Scramble is delicious! The homemade sausage patties are pretty good too. This diner is a destination! It's our favorite place to have breakfast. 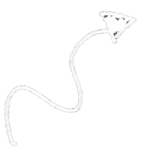 Top quality food, good recipes, fast, friendly service and adorable atmosphere. I took my mom here on Mother's Day yesterday for breakfast. It was both our first time going! Small but very cozy place. We waited for less than 30 minutes which I consider fast on a day like Mother's Day. The food was great but the service was horrible! We watched families that sat way after us receive their food while our waitress constantly walked passes us. When we decided to tell another waitress the problem our waitress comes over to tell us our ticket order somehow went missing. My mom was very upset and was ready to leave but I calmed her down and explained we would have to wait for hours somewhere else if we left. When the food arrived I must admit it was great! So if it wasn't for the whole lost ticket thing and waitress constantly walking pass us without letting us know I would have give it a 5 rating. Service was good, the hostess looked like she just came from the gym, not very professional in my opinion. Food really didn't taste well. It's my favorite place for breakfast! I just wish the place was bigger. Delicious mixtures of ingredients makes for an amazing breakfast Boston skillet! Everything I have here is amazing. My favorite is the Big Daddy skillet though. I had an opportunity to stop in at this little hole in the wall on my way passing through town on business. I didn't expect much. It looked like a nice little convenient place to grab a bite to eat. I ordered a Cajun skillet for breakfast. I did not expect what I got! Absolutely the best food I've had since vacationing in Key West! I enjoyed it so much that I begin to ask questions. Turns out my waitress was also one of the owners. She told me about all of the effort that went into the preparation of the food. Much of the menu is made from scratch, even down to the jelly! If you have not eaten here, you are missing out! I have found my new favorite place to eat in Northwest Indiana! The wait time was much longer than we were told. Then the waitress came over to our table and informed us that there were so many orders, that we would not get our soup before our meal. We told her we were starving. So she went out of her way to get it for us. The food was delicious. Great place! Great food! Sometimes you wait but it's worth it! Consistently delicious! I'm a huge fan of their wraps and skillets. Best breakfast in NWI. Great service, But sausage and hash browns were both over cooked, thats definitely something that should be explained when you know that it's your guest first time there. For the price that I paid for my skillet, you think toast would have come with it. Simply delicious! I ordered the Chorizo Skillet and my wife an Omelette. Opulent portions, well presented, extremely fresh ingredients, and good service. To note are the homemade, sage laden, amazing pork sausage. Second time there and both times, the food was amazing. The first time, there was a short wait, but understandable since it's a small place. You get so much food and the price is great. Me and my friends will definitely be back! The food and service is good, a lot of items made from scratch. The corn beef hash was not from a can, it had plenty of meat and was flavorful. I also had th the Cajun Bayou Skillet. It was excelllent. Their Hot Scram hot sauce is pretty good, it's not too overwhelming with heat where you can't enjoy the flavor of your food. The hash browns were seasoned well. To top it all off, they have fresh squeezed orange juice. It is a small location and the wait is at least 30 minutes for a table. The wait time is worth it for good quality food. Be sure to check the rotating menu �. Food and service is always very good, every-damn-time. Great food and love the small diner feel!! Gotten the same thing both times I've been there and it is so good, that it is so hard to try anything else that seems as good. Any time we go, everything is PERFECT! I love the cinnamon rolls and they have the BEST hash browns. They're food is so great, I stepped out of my box and ate a wrap with vegetables in it and it was fantastic! Much love to the Scrambled Diner. Had the Boston. Really loved it. The juice was cold and fresh and the toast was hot and crunchy. Yum-O! The food was great! I really enjoyed my meal. If you get a chance go. They have the best food ever! No matter what I order it is amazing! Going to try to work my way through the menu! This is my favorite breakfast/lunch diner. Food is fresh and original. I have never been disappointed! This ones a keeper!!!!! Best lobster mac and cheese I've ever had!! High end menu in a diner!!! Everything about this diner A+! The food is good for sure. However, be prepared to wait for your food once you place your order. Almost thirty minutes to cook your standard breakfast. RIDICULOUS!!! The food is always fresh and you get plenty. The jam and jelly is homemade. This place is the little known secret that seems crowded all the time. Rob Johnson Sr got a breakfast wrap just yesterday and he's very particular,he loved it, I do too. I refuse to go anywhere else for breakfast!!! Nothing compares to this place!!! My GodMom took me and I loved it! It was my first time and it will not be the last! My daughter and I enjoyed great food at Scrambled Diner. I had the shrimp wrap and tomato soup, she had the skillet w/ andouille sausage and shrimp. Loved it. I was there with my pal Jimmy Wilson what a awesome breakfast spot..a hidden gem.I go to alot chgo restaurant's but,this one can hold its on.The "Boston " skillet was a gourmet dish that could compete a 5 star hotel dish. This lobster crab and shrimp and spinach tomato and cheese was just a food connoisseurs delight and hash browns and eggs was just awesome. I Definitely recommend it and check it out ...I will be back great job guys. And Taylor our waitress was awesome she made it even better by recommending the Boston. Love the crew and the music. The food is good, most times to salty. I have HBP & do not salt my food, but when my hash browns and omelette come the are always extremely salty. Went here this am, had the Boston skillet ( fresh shrimp, crab, spinach & Asiago) It was out of this world!! All FRESH ingredients there! 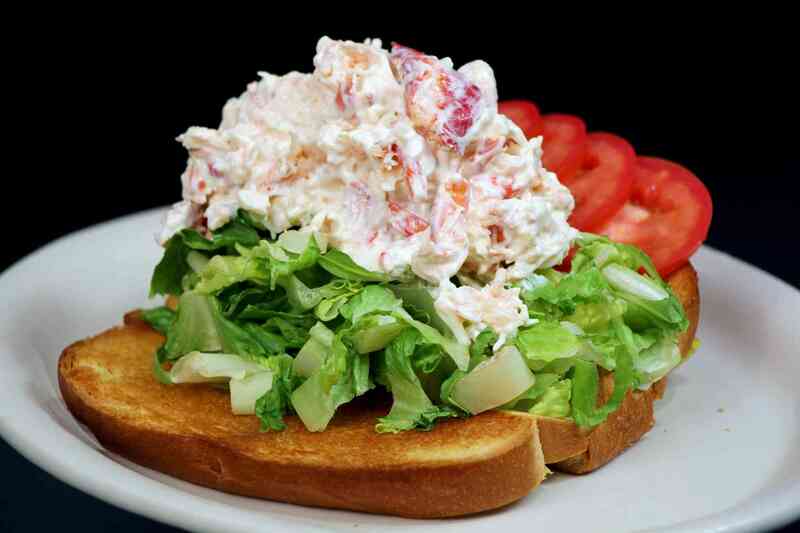 Open for breakfast & lunch.. Can't wait to go back to try their lobster roll!! Thanks Laura for recommending this place!! Good food and great customer service. I will definitely recommend. Great service! Great food! Definitely a new favorite! Great Food!!!! I cannot even tell you how much I like the French Toast, sausage, hash browns, and French fries! The service is exceptional, too!! Best breakfast place around! Everything on the menu is terrific, you won't be disappointed! OMG THIS IS THE BEST BREAKFAST I'VE EVER HAD AND THE FOOD IS AMAZING. Incredible people making incredible food! Taste and see for yourself. Great food and staff was wonderful. My only problem is for a family that is half Vegans they didn't offer any soy or almond milk. It would be nice if they could serve diary free bread which is very easy to purchase Walmart or Jewels Whole food. Lastly waffles and pancakes for vegans can be made very easy. Soy or almond milk and apple sauce. (2 table spoonful of applesauce for every egg use any flavor applesauce). I hope the owner is reading this and can put it on your menu. Thank You In Advance! All the food is so fresh and delicious. Staff is courteous and polite. My favorite place to eat breakfast. The best breakfast I've ever had in my entire life...I'm not even exaggerating. It was delicious and big portions! Excellent food and home made too! EVERYTHING here is homemade all the way down to the CONDIMENTS! Our food was completely delicious. The service was great, the people dining w/ us were great, it was just awesome. The only thing they need to do is expand, because the restaurant is a little tight, but it still works! Amazing food! 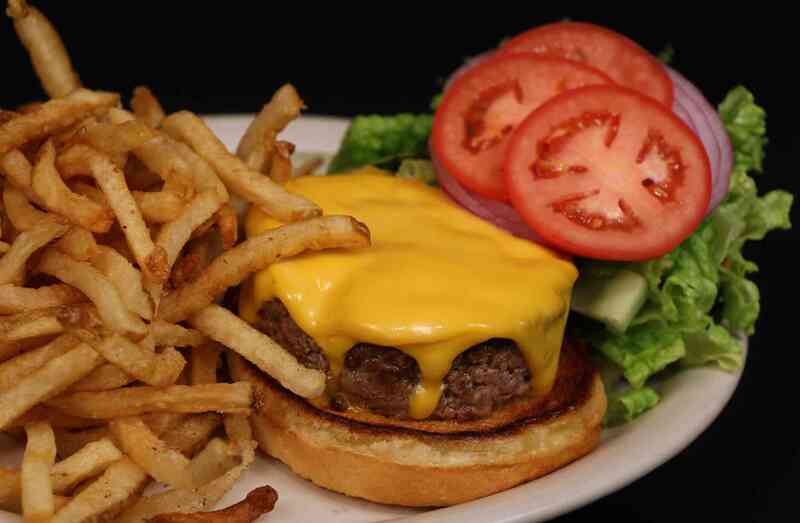 Fresh ingredients and always served hot! Had the Tangled Up in Blue with the turkey sausage and it was excellent! Stephanie was the best waitress, so nice, great memory and a great attitude.